£235,000. That’s the average price of a home in the UK. It’s a massive purchase, and one that you are likely to spend decades paying off. 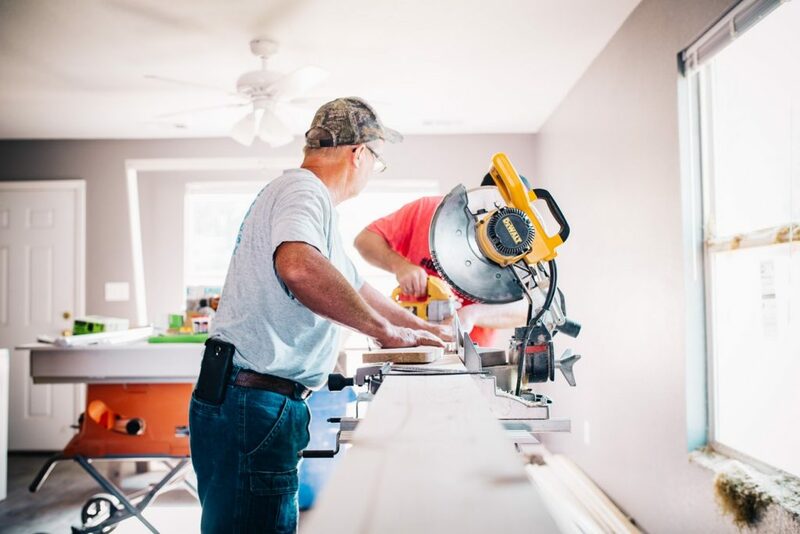 If you are handy with some tools and enjoy DIY, then buying a doer-upper is a great way to save some money, and get exactly the house you want. Clearly, then, you need to look before you leap, and while a homebuyer survey will give you an idea of whether the asking price is reasonable, it is unlikely to identify the heartache and expenditure that could be just around the corner. There are some key areas to check before you make an offer, and if in doubt, you should be prepared to also call on the specialist services of a professional surveyor, damp specialist, electrician or plumber as necessary. A home is more than just a financial investment. It is the place where lives are lived and family memories are made. So whatever you buy needs to be turned from a house to a home. Of course, if there are problems, you can negotiate a lower price. Before you go rushing inside, take a good look at what’s happening on the outside, and especially on the roof. Does it look uniform in shape, or are there dips? Is it in good repair? Look for missing tiles, poor pointing or excessive moss as indicators that all might not be well. Roof repairs can easily run into the thousands and even if you are going to do it yourself, you need to factor in the cost of scaffolding. Also go into the loft to check the state of the timber – are there signs of rot or woodworm? If so, treatment will be needed. Any damp or rot will also indicate leaks in the tiles. An older house sometimes has an “old house” smell. That might be nothing to worry about, but if it is a strong, musty odour, it is indicative of a damp problem. While professional damp treatment specialists can put almost anything right, the important thing is to identify the type and scale of the problem. You might want to adjust your offer accordingly. Other smells to be alert to include gas, sewage, or just about anything else that is unusual. Also note that if a house has been smoked in for years, the nicotine gets into the internal wallpaper, so it can be quite a challenge to get rid of the odour. If a room is in need of painting, it really doesn’t matter. Chances are, you’ll be planning on redecorating anyway to put your own stamp on the place. Similarly, if it’s absolutely gleaming with immaculate paint and new fixtures, it shouldn’t be a factor. Look beyond the superficial, what you need to know is that everything is structurally sound underneath. These are two areas that might seem minor, but where costs can really mount up. Look at the fuse box – is it the old fashioned sort on a wooden base? If so, it is long overdue for replacement, and they are not cheap and it’s a job that few DIYers should carry out – get a qualified sparky in. Are the socket outlets similarly old fashioned? If so, a rewire could be in the cards. Check all the plumbing. Operate all taps, flush the toilets and check everywhere for leaks. Look closely beneath sinks and basins for signs of water damage or that dreaded mould. Lift drain covers – the drains should be clear and clean. If they stink, there’s a problem lurking. In old houses drains have a habit of cracking or collapsing, meaning that waste is slowly leaking into the ground around the house. This can be costly to fix, as you may need to hire diggers and replace drain pipes. If you have your heart set on a house, you can go wilfully blind to its shortcomings. That will only lead to trouble down the line. Examine everything closely and call in the experts as necessary. After all, if the place needs £10,000 of repairs, it’s better to know it now, so you can discuss with the seller and make your offer accordingly. Published June 11th, 2018; edited June 11th, 2018.